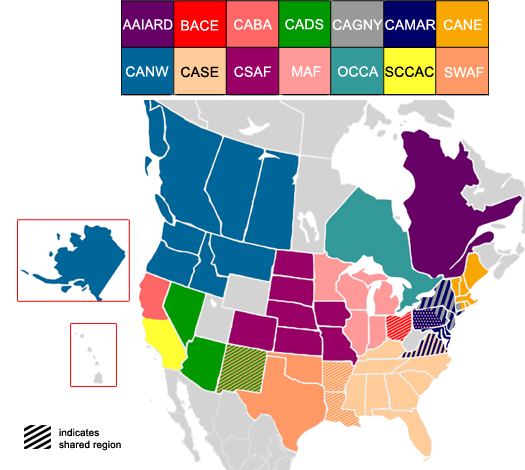 The CAS has 18 regional affiliates – actuarial organizations focused on geographic regions – in the United States, Canada, and internationally. Use the map below to locate a regional affiliate near you. Held throughout the year, regional affiliate meetings allow actuaries and actuarial candidates who work in the same geographic area to gather locally and discuss topics of current interest. Presentations frequently include speakers from outside the actuarial profession. Students on the casualty actuarial track are occasionally invited to attend these convenings.